We are so grateful to everyone of you who made this incredible project possible. Enjoy this report full pf pictures, videos and stories. 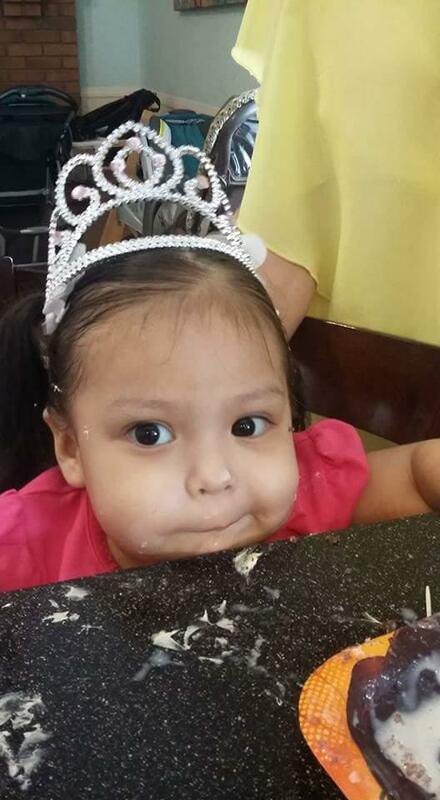 You have had such an impact on the life of Baby Lisa and her beautiful family. Thank you. 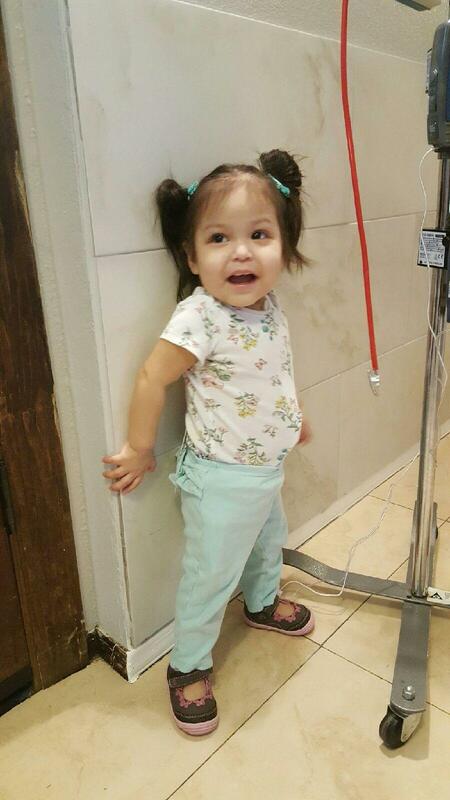 Baby Lisa is still in a medical care facility in Mesa, AZ waiting for an organ. Please send her your thoughts, prayers and love. In the meantime, her family is waiting for her at home with clean, running water. 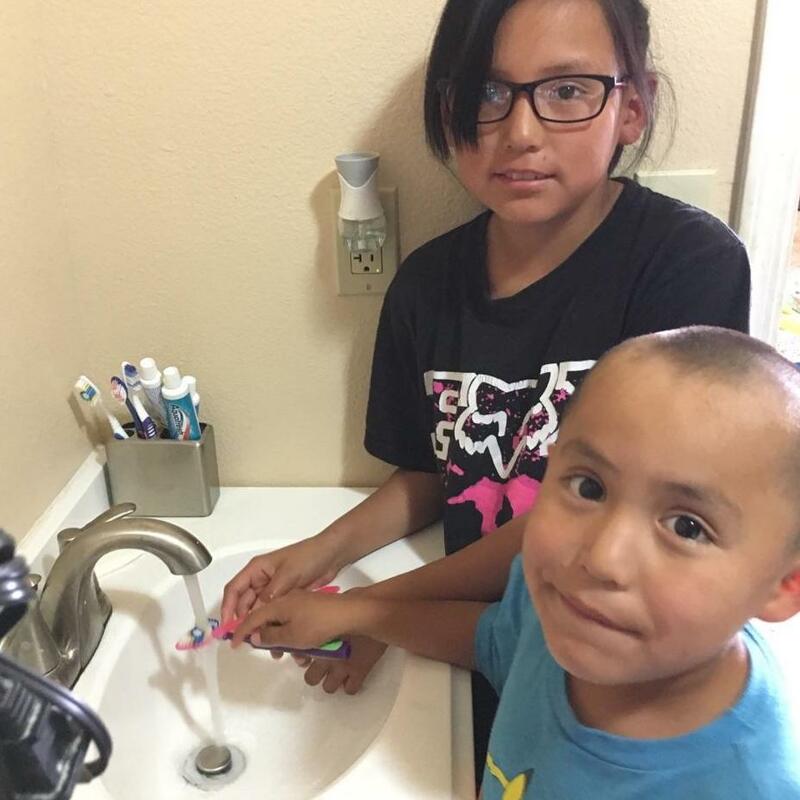 Hundreds of thousands of American children still don't have clean, running water. Baby Lisa is just one of them. Thanks for helping Digdeep bring water to our neighbors who don't have it. Baby Lisa's House Has Running Water! Baby Lisa was born with a rare genetic disease. 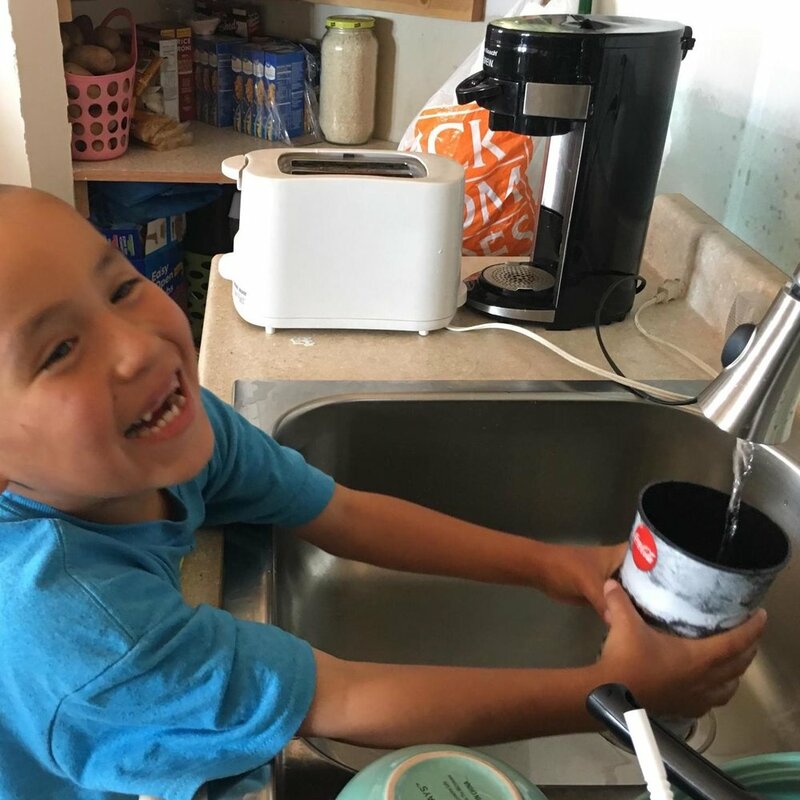 Shortly after birth, she was denied an organ transplant because her family didn't have clean, running water at home. Without it, Lisa wouldn't survive. Last year, we celebrated Mother's Day by launching a campaign to bring clean running water to Lisa's house -- so that one day she could be reunited with her mom, Latanya. This Mother's Day, that project is complete. Ahéhee' means 'thank you' in Navajo. Baby Lisa's brothers and sisters wanted to say ahéhee' after you helped raise $50,000 to build them a bathroom with running water. They handmade some thank you cards, and we sent them to a few lucky donors as a surprise. Shower and Tub are in! Water line is being surveyed. Construction on Baby Lisa's bathroom is off to a strong start! Walls and fixtures are up, and the water line is being surveyed. Electricity is Connected! Construction Starts Today! Several weeks ago, we helped Baby Lisa's family -- LaTanya and Troy Teller and their four kids -- get electrical service from their local utility provider. That's one (BIG) step closer to creating a safe, healthy home for Baby Lisa. The next step is clean, running water. So we're starting construction on the family's bathroom and water line this week! 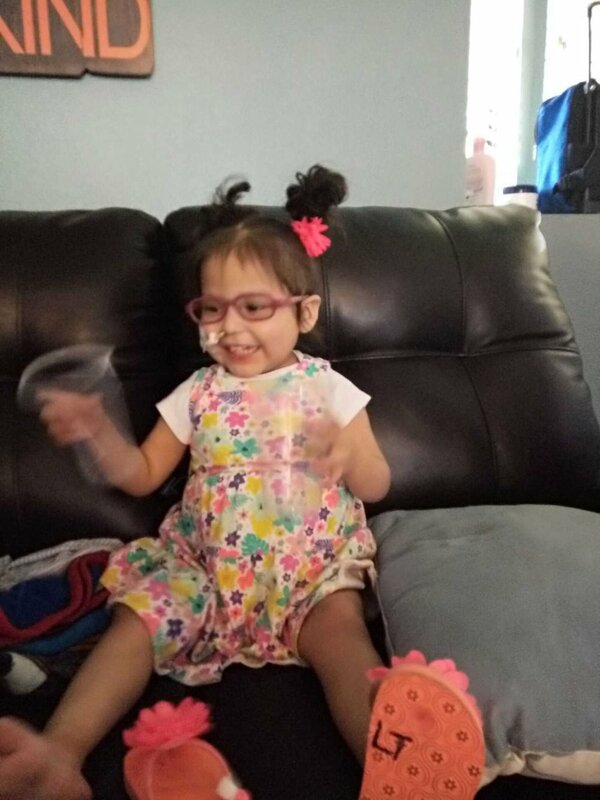 Baby Lisa has a rare disorder called Microvillus Inclusions Disease, and she's waiting for an organ transplant at a medical facility in Phoenix. When she is released, her family will need electricity and clean, running water to welcome her home. The bathroom should take about two weeks to complete - the water line, an additional 1.5 - 2 months. Haven't met Baby Lisa yet? Watch the video here! Baby Lisa turned two this month! Her parents threw her a Toy Story themed birthday party in Phoenix and sent us these pictures. They wanted us to share them with you. After months of archeological surveys, endangered species studies and water engineering, we're ready to start construction. We'll post regular updates here as soon as things get underway! 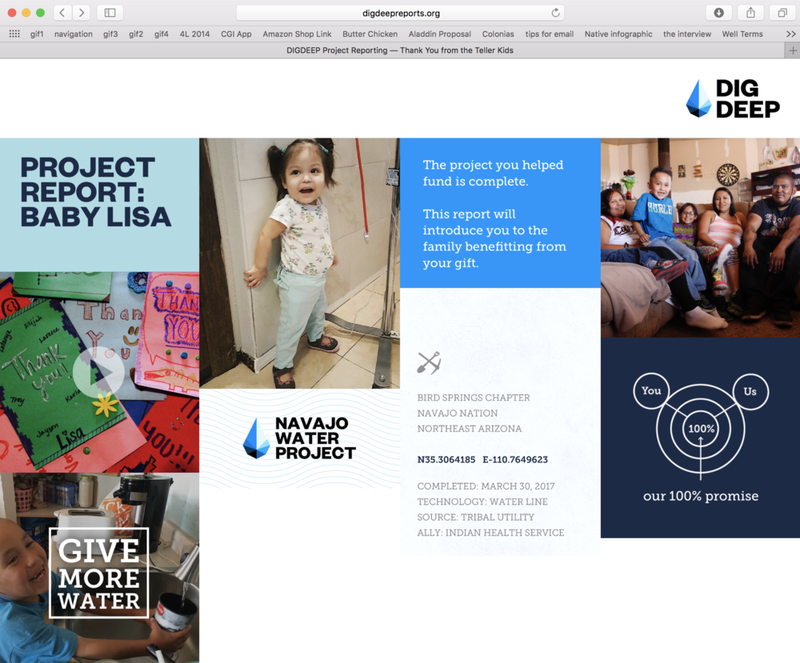 Special thanks to all of our friends at the Navajo Tribal Utility Authority and the Indian Health Service, Office of Environmental Health who have brought us this far!